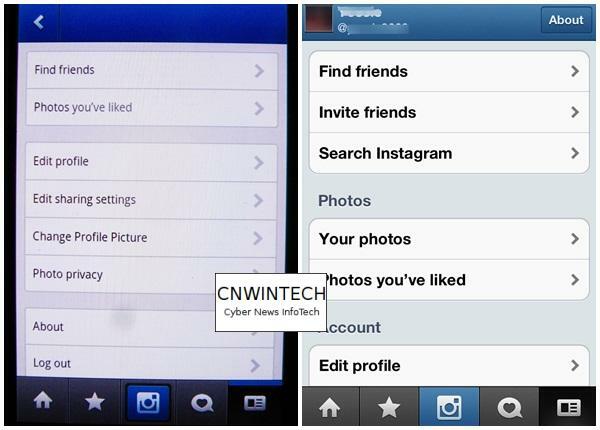 Instagram application has just come on Android, after 18 months of this application only present on Apple devices. 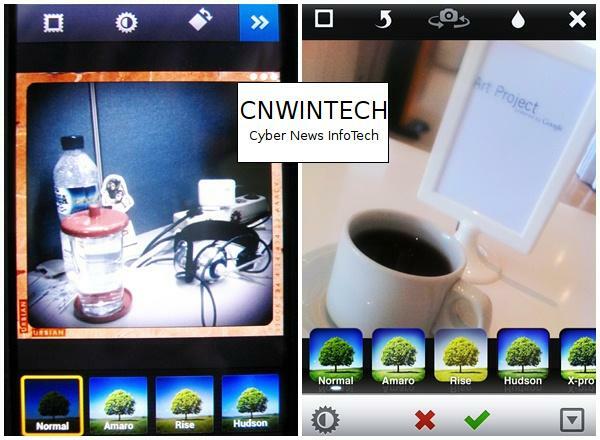 This time, CnwinTech will provide a comparison of this application on Android devices and Apple. 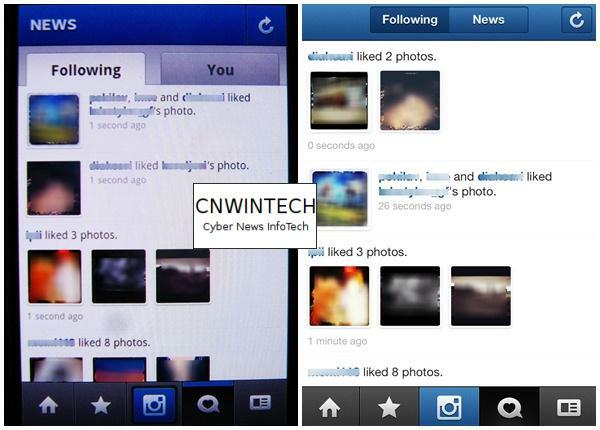 What are the similarities and differences that are owned by the Instagram application on both different platforms? Check out these reviews! For those of you who will use Instagram application on Android devices, do the download and installation about 12.6 MB through Google Play. Make sure you have an internal memory capacity needed, the final results obtained CnwinTech after the installation process takes capacity about 17 MB. 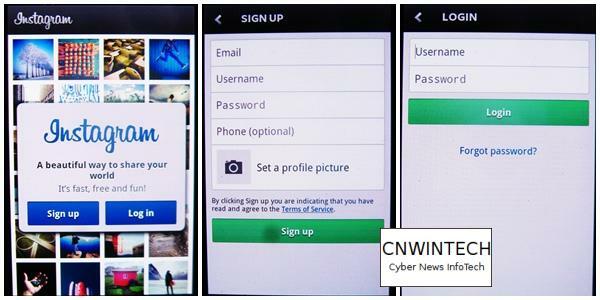 Instagram page will be present at the time you run the application, and make the Sign Up or Login. For you who just have this application, do the Sign Up process, or for those of you who already have an account from the Apple device, do the Login. 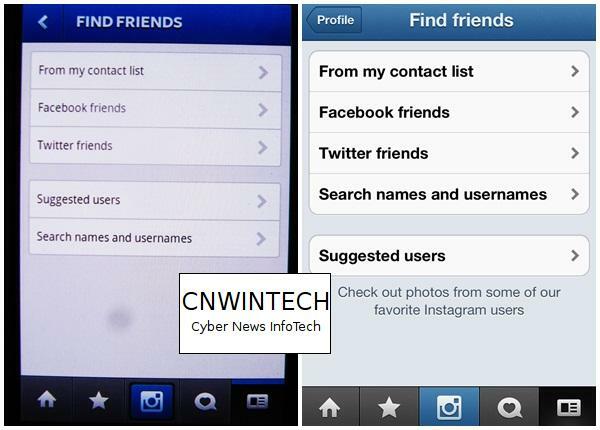 CnwinTech will not discuss the process of adding friends or relatives, because you’d have to try with features that exist in the Instagram application. 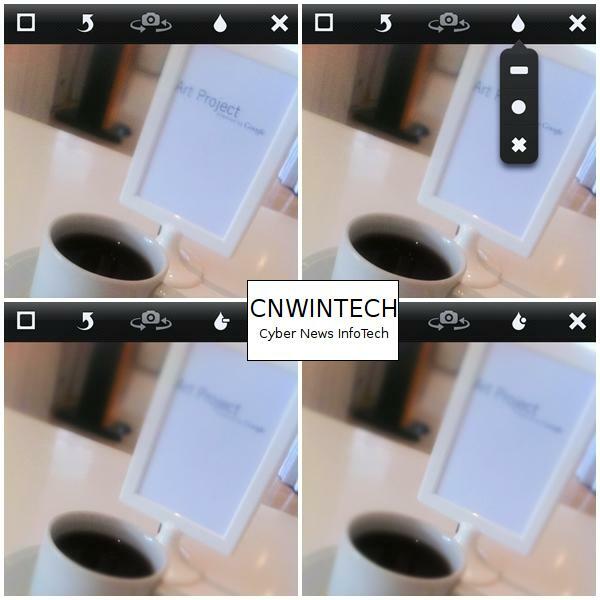 CnwinTech will directly address one by one, the similarities and differences on both of these platforms. 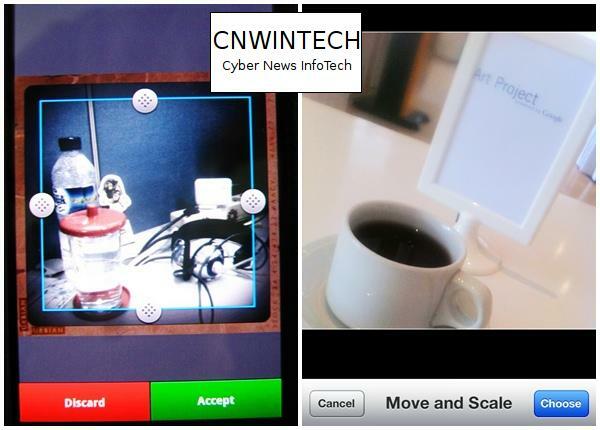 The left side will display the application on Android devices, while the right side on Apple devices display. In the early stages, the icons usage in the application is very similar. Menu structure displayed same on both platforms, there is only addition of word ‘like’ or ‘comment’. Features ‘like’ in this application are similar to the features ‘like’ on Facebook. You can give the ‘like’ by pressing the heart button, or double-tap on the displayed photo. Home Menu would show a relative who you follow, and will always show the photo upload from your relatives, including your photos as well. 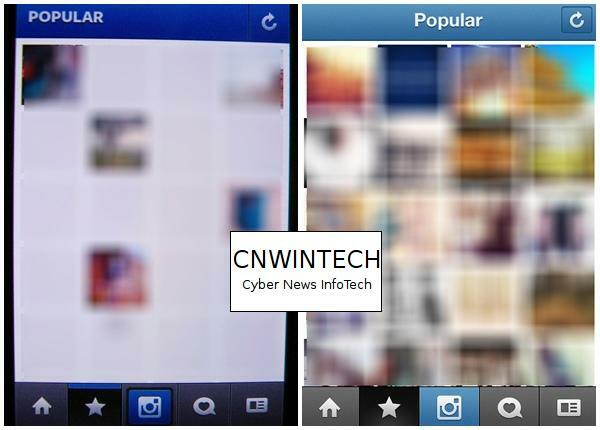 On Popular Menus (star images), Instagram applications runs similar and no difference. You need amount of likes are qualified for your photo appear on this page. for Menu Photo Upload will be discussed at the end of this article and continues to next menu. This menu selection will present News and Following, where what is being done by you or your relatives, will be displayed accurately. On the News tab is also similar to each other, only the use of tabs and buttons are different. On the Following tab, it will show what is being done for your partner, either give ‘likes’ to whatever Photos they have visited. In the Profiles menu, will display your user data such as name, username, number of photos you have uploaded, until the number of followers and following. You can view the entire photo collection, either by column or rows view. The Setting menu (button at top right) will display some of the other menu options, which serves to locate your relatives based on username, change the data itself, and some other features. Search for friends or relatives can be done in various ways, such as through social networks Facebook and Twitter, or by name or username. 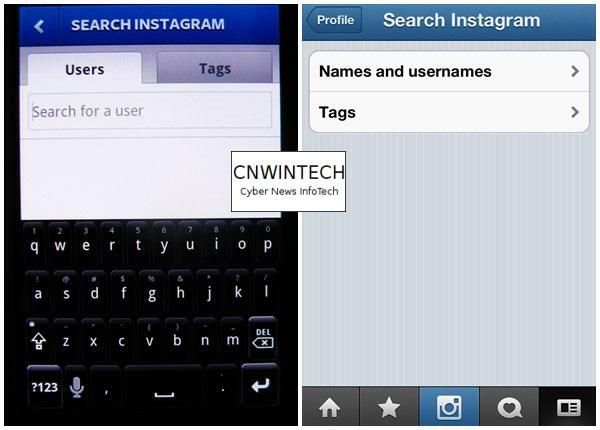 In addition to search by username, you can also search by hashtag. Hashtag you can add in the comments section on each photo that you upload, of course, use this hashtag to your liking, or your community. 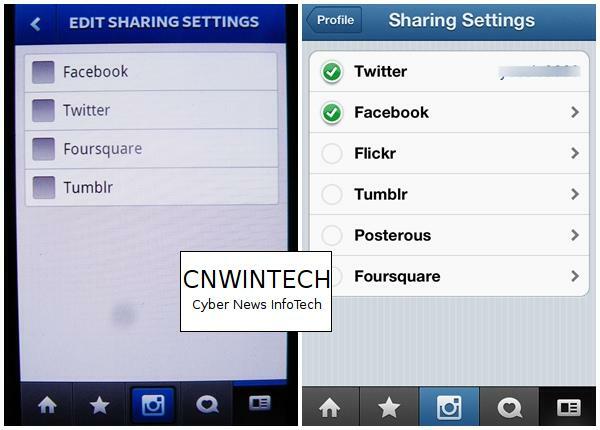 On the Sharing part, you can connect this Instagram application to the other social networks. This feature is useful when uploading pictures, so you do not have to login to the social networks you have every you finished photos upload. Difference in the two platforms will connect only to the social networking alone. For those of you who feel uncomfortable with the image you upload can be seen by anyone, you can close your account to private mode. This mode will close the photo collection you have, and any other users want to connect with your account, must pass approval from you. This feature is similar to the features that Twitter have. Overall from menu and features of Instagram application on both platforms, giving similarity, there is little difference in the presentation or access via the tab key. 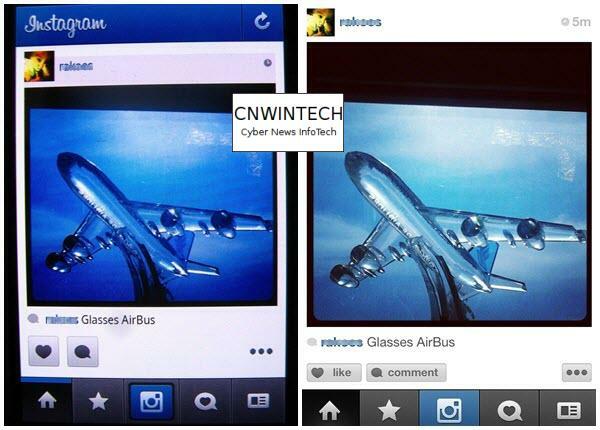 But CnwinTech find another difference when trying to perform upload photos. On the Menu Upload photos, you’ll be given the option to upload via gallery you have on your device, or to capture images directly via camera. A little advice for you who just use this application, capturing images in portrait or landscape, will require you to represent it in a proportion (box) when doing upload photos. Thus, there will be cuts pictures, you should always provide space for this, or use other photo applications that deliver proportional results directly. The difference lies in the use of filters, which filter on Android devices using X-Pro, whereas the Apple devices using X-Pro II filter. If viewed from the top menu, you can rotate images, add frames, or an effect of brightness in addition to use of an existing filter. But on the Apple devices look, there are additional features of Tilt Shift/Blur (pictures menu of water droplets). This feature presents a direct blur effect to the Photos. You can add a blur effect on the top and bottom of photo (with minus logo), or blur effects on surroundings and focus on the center of image (circle logo). 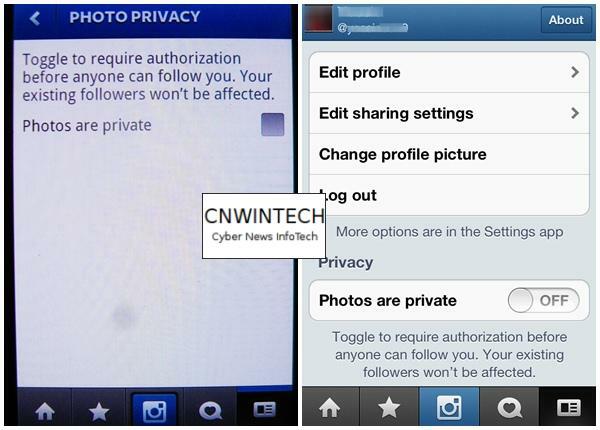 These additional effects are not you meet in Instagram application on Android devices. The difference from this feature is not very meaningful if the previous image you have done with other applications, but this Tilt Shift/Blur feature is a feature that integrated on Apple device through this Instagram application. You can use other applications in a blur effect with a variety of interesting applications contained in Google’s Play, so the photo upload process, aiming only to upload it, and does not require any additional effect on image. This is similar to the filter found in this Instagram application. The addition effect on the image with various filters, you can do with the use of other applications first. 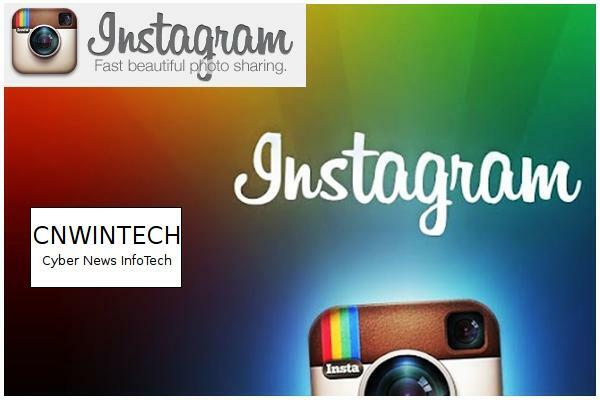 Instagram applications are present on both platforms makes it easy by Android and Apple users to be able to communicate with each other. 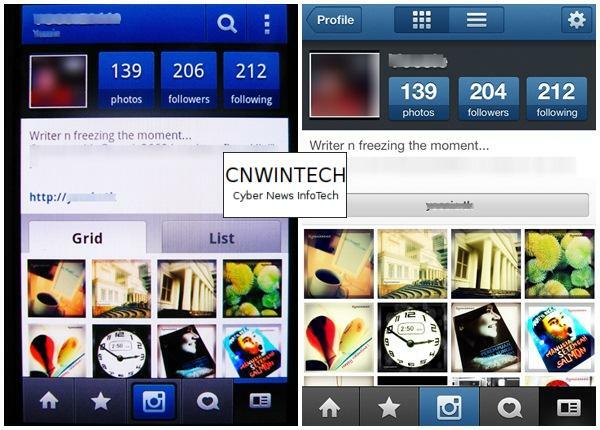 The differences found in Instagram application on both platforms by CnwinTech is not very significant, even if viewed as a whole, all of features found in Apple version, has been presented also at Android version. Even for users who have both types of these devices, can easily upload photos without being limited exclusively. 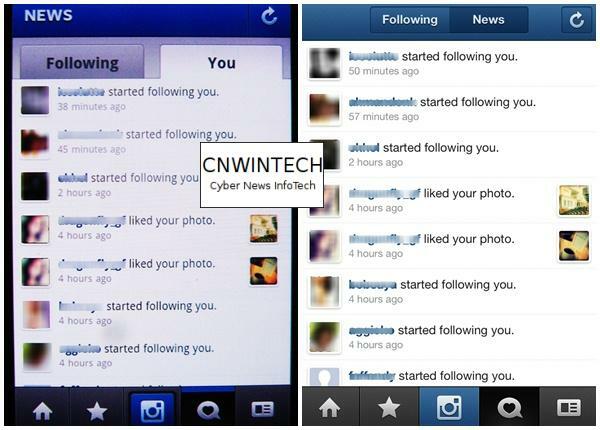 Finally, CnwinTech congratulate have fun Instagraming!